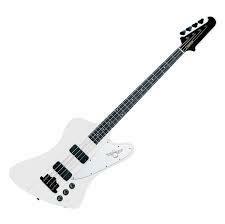 Epiphone Thunderbird Classic Pro IV. Really cheap for what it is, comes out of the box without anything that needs modding and sounds like something worth more than double the price (if you put it through the right amp with some good strings). I know some other members agree that it's good but not sure if anyone else would call it favorite. I haven't really tried that many basses but from those that I did try this is by far my favorite. I recently picked up an Epiphone Jack Casady semi-hollow body at my local shop and instantly fell in love with it. Didn't care about it being a signature bass, just really liked the way it felt and sounded. I ordered a heavy gauge set of D'addario half-rounds - I use flats on my Ibanez Artcore hollow body - and really like that they still have the nice smooth feel of flats but still get the punch of full round strings. The bass has a volume and tone and an impedance knob for the single PU that gives surprising differences in range - setting it to 500 gives me a really nice grumble. Super happy with it. The only thing wrong with the Thunderbird is it looks like a Chimpanzee designed it! A blind Chimpanzee with two broken arms!! Fender Jaguar - it was the first bass I bought that was brand new and it just sounds right, love the tone. feel like with my P bass I am always having to adjust stuff, but with my jag it's like every time I pick it up it's great.